Gary Steinberg is native of Los Angeles and the San Fernando Valley. His career paths have been many and varied, but real estate is his passion. Gary specializes in working with homeowners and buyers to see to it that they make the right choices from listing to close of escrow. 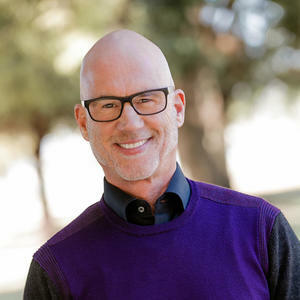 His professional accolades include the President's Circle, Honor Society and Silver Level Producer top 5% of Compass (formerly John Aaroe Group), and he is a member of both the Southland Regional Association of Realtors and the National Association of Realtors. Gary has been a resident of Studio City since 1989 and knows his neighborhood and the surrounding area intimately. He takes great pride and pleasure in being involved with neighborhood outreach as the originator of the Studio City neighborhood social network Woodbridge Park site through Nextdoor.com, which boasts 1000 active members and continues to grow weekly. His community activities include organizing the Neighborhood Watch group in conjunction with the Los Angeles Police Department and Emergency Preparedness lead with the Red Cross. Gary's awards include Certificate of Appreciation from the City of Los Angeles, Certificate of Completion from the Los Angeles Fire Department as "C.E.R.T." Community Emergency Response Team program, as well as awarded community supporter of Colfax Elementary School. Son of noted Holocaust survivor and writer, Manny Steinberg, Gary is a longtime supporter of the Los Angeles Museum of the Holocaust. He supports many other non-profits such as the Gay and Lesbian Elder Housing, Aids Project Los Angeles, Aids Healthcare Foundation, and the Los Angeles Youth Network, a non-profit organization assisting runaway and homeless youth, and proud to be a board member of the Compass Community Foundation. Gary's multi-faceted background includes deep forays into the Entertainment Industry. From performance on stage, in television, and film, to on the ground production, Gary understands the demands and long hours those in the business face. He works his clients and their managers appropriate to their unique constraints and financial situations. It's not unusual for Gary to meet clients during short breaks on set or location, in the edit bay late at night, or during lunch at the studio office to review documents, get paperwork signed, consider offers, etc. Gary is the ultimate "people person." He loves working with his clients and thrives on making them feel comfortable and at ease as they make what, for many, is the most important decision of their lives. Utilizing his extensive experience in real estate and his talent with people, Gary sees to it that his clients are well served in every way from start to finish.